Did the choice you were considering yesterday remain unmade? 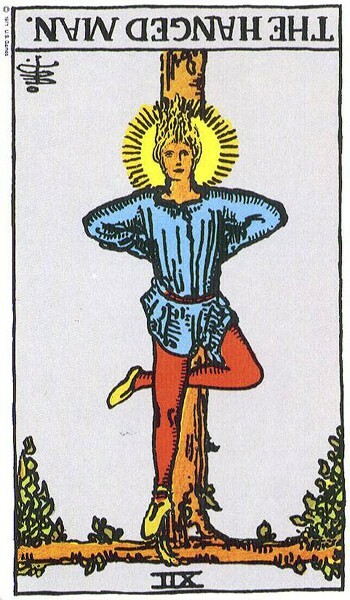 Looks like we are still thinking about our options today, but leaning toward one rather than the other (Two of Wands). Still, there is a lot of hesitation. 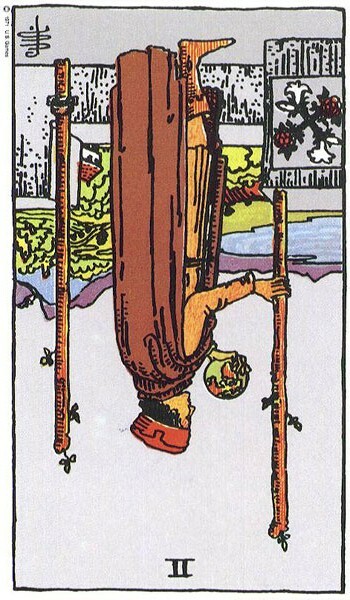 Maybe a change in perspective (The Hanged Man) will help, but we are resisting that change or it’s blocked in some way (The Hanged Man Reversed). This day feels like everything is temporarily stalled — which might be okay, but sometimes it feels as though we are running out of time. Focus.